Dow Jones climbed to 10000 followed by many other indices reaching new highs of 2009.Investors are bit confused to decide their course of action.Should they invest or wait for some more time is the prime thought within the minds. This article depicits the picture of World Indices,funadamentaly and technically.This article will help the investors to decide what should be their course of action when indices are making new highs.I have excluded Indian market from this article so that I can bring out only the current position of US,China and Japan economy and their technically position.As we all know that Indian market is very much close to any effect of western and other asian economies this article is of great importancy in that context.For our investments we need to know about the western and asian economies/indices movements. This will bring out the true position of those indices and will help you to decide what should be your next step of investment. Dow Jones climbed to 10000 backed by profits from JPMorgan Chase & Co. and Intel Corp. surpassed estimates in their 3rd quarter results. But it again climbed backward due to drop in profit of General Electric Co. and Bank of America Corp and poor US consumer confidence data. Bank of America posted a loss of 1billion loss arising due to defaults of consumers to pay their debts. Dollar also remained under pressure as compared to other currencies. Output at U.S. factories rose 0.7% in September, led by impressive increases in auto, mines, and metals output. industrial production rose at a 5.2 percent annual rate in Q3 -- the metric's first quarterly increase since the recession started in December 2007. Excluding autos, industrial production rose 0.5 % in September and 3.8 percent in Q3. Dow Jones is over brought as per William %R of 14days.It has made a top above 20 level. In the past we find in the mid July and August 2009 Dow Jones crossed the level of over brought and after that went down. As per RSI we get Dow Jones in the middle of over brought. So some steam might have been left out which will push the Dow Jones further again to 10000 level but it will be very short lived and bound to climb back. The MACD reflect that the signal line is crossing from above so it indicates a bearish outlook and a fall is eminent. As per stochastic RSI we get Dow Jones got a sell trigger and have climbed back .So as I said earlier some steam is till left which will take the Dow Jones back in to 10000 levels. But it will be short lived. The economic data’s followed with more 3rd quarter results coming out in this week might fill up the gap of remaining over brought. 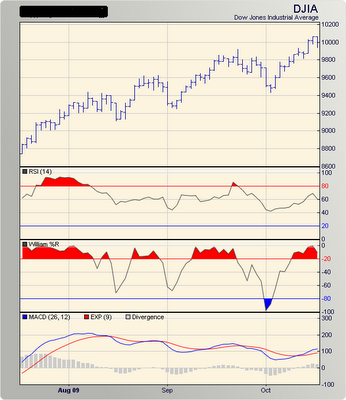 Chart 1 shows William %R,RSI and MACD. 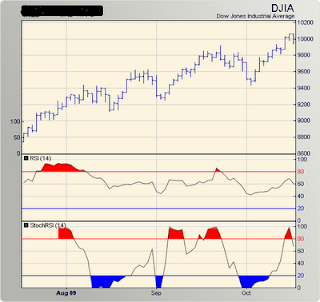 Chart 2 shows RSI and Stochastic RSI. China’s foreign-exchange reserves climbed about $141 billion in the third quarter to a record $2.273 trillion as per the People’s Bank of China. 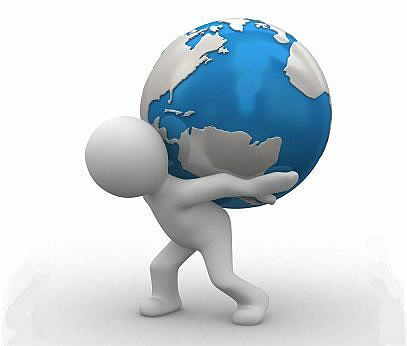 Swelling reserves highlight imbalances in trade and investment. China's export volume hit $115.9 billion in September alone, up 11.8 percent over the month before, but still down 15.2% from the same time last year, according to data released today by the General Administration of Customs of China. The country is facing the high risk of over capacity. In manufacturing, real estate, and infrastructure the country is simply producing more than the world requirements. China’s bank lending explosion has led to credit to GDP during the first half of 2009 rising to 140%.Chinese financial institutions extended $1.2 trillion worth of local-currency loans in the first eight months of this year, an increase of 164% from the same period in 2008. China’s banking regulator has raised the voice over the quality of loan disbursement. The country's five major banks, the Industrial and Commercial Bank of China, Bank of China, China Construction Bank, Agricultural Bank of China, and Bank of Communications, took 47 percent share of the total bank loans in the country during the first three quarters this year as per China Banking Regulatory Commission (CBRC). As China’s exports takes a hit when it is running at over capacity, it is now dumping goods to India and US. This over capacity and huge credit leverage of banks and institutions makes the China more venerable to a crisis. In other words the bubble will go for a burst any time soon .The china government should take adequate steps to put tight leash over the climbing over capacity in manufacturing ,real estate and infrastructure. The China government will release data next week on economic growth for the three months ended in September. So a bubble burst out in china will create a effect on Indian browsers. HANG SENG INDEX is over brought as per William %R of 14days.It has made a top above 20 level. In the past we find in the September 2009 HANG SENG INDEX crossed the level of over brought of 20 level and after that went down. 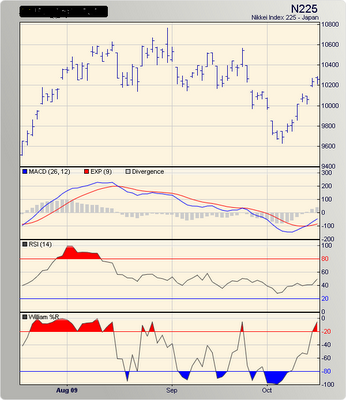 As per RSI we get HANG SENG INDEX is in the middle of over brought. So some steam might have been left out which will push the HANG SENG INDEX further again to 22000+ level but it will be very short lived and bound to climb back. The MACD reflect that the signal line is crossing from below so it indicates a bearish outlook and a fall is eminent. 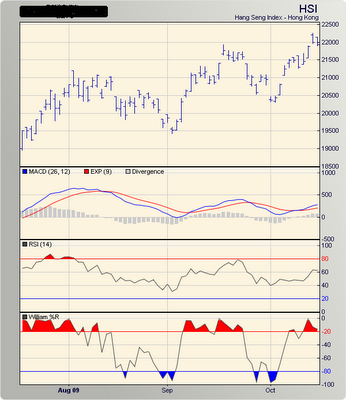 As per stochastic RSI we get HANG SENG INDEX got a sell trigger and have climbed back .So as I said earlier some steam is till left which will take the HANG SENG INDEX back in to 22000+ levels. But it will be short lived. The economic data’s followed with more 3rd quarter results coming out in this week might fill up the gap of remaining over brought. Japanese steelmakers are trying to develop new export markets. According to the Japan Iron & Steel Federation, the volume of steel exports increased to 3.41 million tonnes in August, up by 3.4% YoY, the first time in 11 months. Japan is also facing a similar position like US in Unemployment which is at an historically high level; consumer confidence is low; deflationary pressure is strong and the Yen remains strong; putting a strain on Japanese exports. Against this background, the Bank of Japan has decided to maintain interest rates at 0.1%.The August unemployment rate fell to 5.5% from 5.7% in July, said the Ministry of Internal Affairs and Communication. Japan’s unemployment is at its highest in 53 years reaching 5.7% level or 3.59 million unemployed as of July 2009, a million more than in July 2008.So here also we don’t find much positive cues which might support the upward rally of Nikkei. Its a tough fighting situation for Japan economy to come out with impressive recovery. Nikkei is over brought as per William %R of 14days.It has made a top above 20 level. In the past we find in the September 2009 Nikkei crossed the level of over brought of 20 level and after that went down. 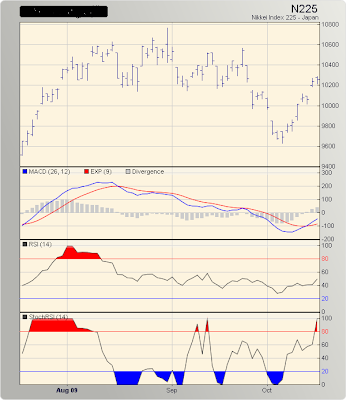 As per RSI we get Nikkei have just in the mid of over brought. So some steam might have been left out which will push the Nikkei further again to10200+ level but it will be very short lived and bound to climb back. The MACD reflect that the signal line have crossed from below and goes up. So it indicates that a bullish trigger have already being generated and a fall is within the range. 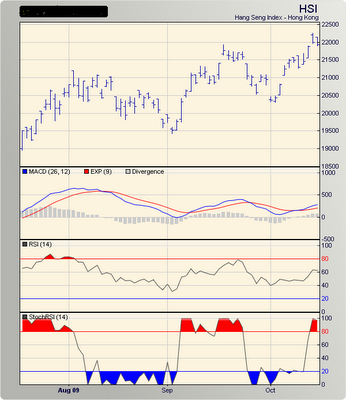 As per stochastic RSI we get Nikkei got a sell trigger as it crosses above to 100 level. So a sell off will take place in Nikkei. So overall projection reveals that US Chinaand Japan market are either over valued or some more increment is in the cards.Once the steam is over we will get sell off in these indices which will give opprtunities for fresh buying @ reduced valuation and leverage.The risk at present is too high.So a correction will make not ony reduced risk but will aslo bring some clarity in the market.The over economic outlook is not very impressive and it will take more time for recovery.Fiscal deficit,job loss,conusmer debt,over capacity will slow the pace of growth of these countries.Global investors are skeptical regarding investments.A sell off in the indices will bring them back.In the present scenario it will better to book profits and keep in the sidelines.Once a sell off begins and valuation comes down stock picking will be idle at that time.Those who are planning to pick up stock now should drop their plans and wait for the fundamental and technical correction to begin. Mr. Indraneel Gupta, Your reports satisfies both fundamental and technical aspects of Markets, whome the world benchmarks to track their investments. Best part is your report speak a language, easy to understand and all the terminology is well explained and ellorborated.